DeepStacks Poker Tour (DSPT) returned to Alberta for their first event of 2015, with the tail end of it wrapping up this past Sunday, April 5. 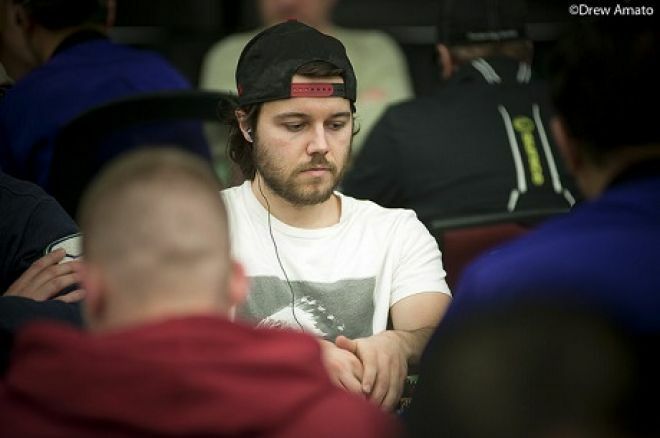 DSPT Calgary offered seven events over 10 days at Grey Eagle Resort & Casino, and Saskatchewan's World Series of Poker bracelet-winning Tyler Bonkowski proved to be the best player in attendance, winning the title of Player of the Series. Throughout the entirety of the series, attendance and prize pools shot well past expectations. There are few poker markets growing with the strength shown in Alberta over the past couple of years. Proving that DSPT has their finger on the pulse of the poker community, they broke into the Canadian market in 2014 by hosting two Albertan events. For 2015, DSPT has put four Canadian events on the calendar — all in Alberta — including the season-ending WPTDeepStacks Championship which will be hosted at Grey Eagle Resort & Casino in Calgary. Up next, players had a chance to play DSPT's Michael 'The Grinder' Mizrachi — winner of three World Series of Poker bracelets with over $14 million in career tournament earnings — and the price of admission for the Grinder's Classic was only $100. However, Mizrachi never ended up playing the event as advertised, apologizing to disappointed players that he had other obligations. The Main Event set the ticket price at $1,100 with a guaranteed prize pool of $200,000. Yet again, as on the two previous guarantees, there was more than twice the promised amount to play for. Once the last of the 431 entries was accounted for, there was $406,450 to play for. The first of the two Day 1s ended with Michael Mizrachi holding a dominating chip lead. He bagged up a total of 567,000 chips when play paused, a mountain more than second-best stack Jimmy Lee with 335,500. The 78 players that returned on Day 2 also included Shak Kazemiput (315,500) and Sheldon Viney (308,500) at the top of the list as the only players with over 300K in chips. While both Tyler Bonkowski and Michael Mizrachi managed a win plus another final-table result, it was Bonkowski who earned the most points, becoming the Player of the Series. He received a trophy for the achievement, plus behind-the-scenes access at any DSPT televised final table, one free entry to Grey Eagle Resort & Casino's Monthly Challenge tournament, and two nights' stay at the beautiful, new Grey Eagle hotel. The next stop on the DSPT schedule takes the tour just a few hours north to Casino Yellowhead in Edmonton. This series will feature eight events and begins on April 16. Check back with PokerNews Canada at the series' conclusion to get our in-depth recap of all the action. * Results courtesy of The Hendon Mob. ** Photo courtesy of the DSPTLive blog.